Mark This Book Monday: ARC Review of Dark Eden by Chris Beckett!! 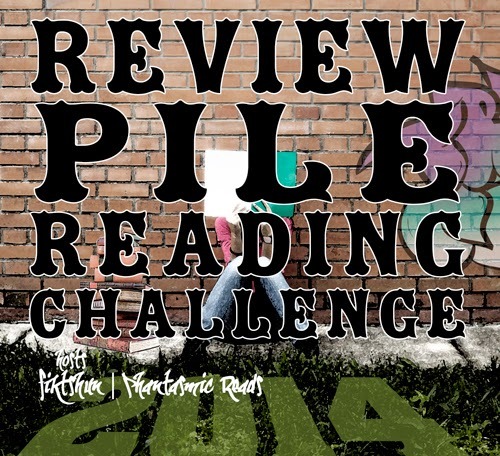 For this final post on this week's Mark This Book Monday I have another book for my 2014 Review Pile Reading Challenge! I got this one on NetGalley quite a while ago and I'm glad that I'm at least reviewing it the day before release day! When I requested Dark Eden on NetGalley, I knew I was up for an interesting science fiction read but I wasn't expecting it to raise such deep issues with such ease! I wasn't expecting to be approved so thank you Crown Publishing & Broadway Books! Dark Eden starts and it's a bit confusing at first, since you find yourself in the middle of a different time and place and a different planet, with a different language that takes a while to get used to and that makes you wonder about all the differences and how they came about. The story is told on alternating chapters with different POVs, most are John and Tina's, but we also get a few others with a different narrator. Those might seem odd but usually are there to give us insight and complete the story in the first person when our usual narrators couldn't. The characters were quite well written, and I felt that even if I didn't always agree or understand John, I always felt for him, and felt like making an effort to understand him. Tina was somehow easier to relate to and understand, even if due to the circumstances some of her behaviours and choices were not something I could put myself in her place to make. I won't be going into the plot much because a big part of the wonder of this book is going through all of it and discovering things as they come up in the story. Picking up the pieces here and there to try and get the clearer story of the past, even if we only get enough to understand the present a bit better. I wish we could somehow get a bit more of a backstory, but we don't really need it. The story of this book is about change and fear of change, fear of the unknown and fear of stagnation. Holding onto the past at all costs and trying to make your own place and your own future no matter what the cost. This book does deal with quite a few disturbing and uncomfortable topics, but it is done in a way that is relevant to the story, and I think the food for thought that it provides is extremely important. The world the author has created, the linguistics, the interactions, the culture... everything is so detailed and believable. This story of a different kind of pioneers in their own Dark Eden is a fantastic kind of science fiction. The one thing that made me give this book 4 stars instead of the full 5 was the ending. I'm all for open endings and letting the reader to ponder and wonder about what might happen, but when it's done in such an abrupt way that you expect more pages to happen... That might be a bit too much "left to wonder". Still, a very recommended book. Mark This Book Monday: ARC Review of Between The Devil And The Deep Blue Sea by April Genevieve Tucholke!! This week I'm starting Mark This Book Monday with an ARC review of a book that I didn't expect to be approved on NetGalley. Thank you so much Faber & Faber for the approval!! This book is also part of my 2014 Review Pile Reading Challenge, I'm really hoping to catch up on my review copies in a timely manner! 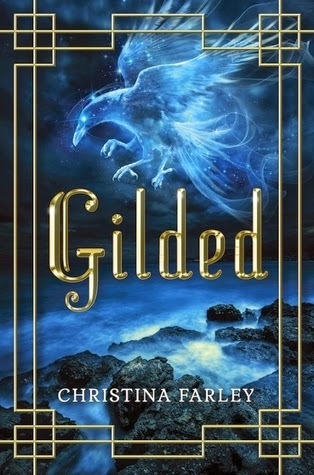 I had been wanting to read this book for quite a while but I had heard that the ending was quite a bit of bad cliffhanger that left you wailing for book 2, but once I saw the ARC of it on NetGalley I just had to request it! I will try my very best to keep this review as spoiler free as possible because this book is best experienced with as little information as possible. I had some issues with the book at first, despite loving the setting and loving Violet White. The setting of their house, Citizen Kane, and the family history and the atmosphere was simply fantastic. The imaginery and the writing are extreme visual and I loved how easily images would pop in my head. Violet was a wonderful character, I just loved how quirky she was, and how she didn't care about what others thought about her. She was unhappy cause her parents had left her and her twin brothers to go paint to Europe and her main adult figure of her life, her grandma that everyone called Freddie, died a few years back. I loved how she loved to read and wore her grandma old clothes... Then I was I bit puzzled about the dynamics between the twins, because Luke and Violet have a very odd way to communicate and Luke seemed like such an arse in the way he loved annoying, but that's not strange behaviour for brothers. Then the moment River West arrives to take up residence on the guest house things change very quickly. Violet takes to River like moth to a flame, and though her rational self raises the head on occasion, most of the time she's just taken up on the quirkiness and how different River is. She seems to be totally taken up and fascinated. It just rubbed me the wrong way. As the book progresses it is sort of explained but still, I was wondering if it was gonna be like that for long, I was not going to like the book. But then along the 50% mark, things begun to get both more disquieting and more interesting and that kept progressing in crescendo until we reach the height of tension and creepiness in the final pages of the book. There are plenty of revelations and unexpected twists that really compensated the main two issues I had with the book. Aside from the odd insta romance bit, I was also quite irked about the fact that teenagers with absent parents didn't seem to be no one's business. Might be part of the mind your own business policy of small towns or something, but it just felt off. I'm really really looking forward to reading the next book because I loved the writing, the atmosphere and how the story totally kept me turning pages like there was no tomorrow. 3.5 to 4 stars. This week has been a very light week this year, which is a good thing cause I have a lot of preorders coming in April! I only got two novellas on my Kindle this week. Quite a light week. What all did you get this week? Saturday Pages: The Eternity Cure by Julie Kagawa!! Following the bloody theme of this week's Saturday Pages, here's the review of the second book of the Blood of Eden series, by Julie Kagawa. As book two of a trilogy it is part of my 2014 Series Challenge. And as a paranormal postapocalyptic dystopia, it is part of my Dystopian Reading Challenge 2014! The Eternity Cure is the second book in the Blood of Eden series, and let me tell you from the start on that is doesn't suffer from the middle book syndrome at all! I will try my best to avoid spoilers for the book, but it is quite likely that this review will contain spoilers for The Immortal Rules. I usually try to avoid those too, but most of the time those are hard to avoid. The Eternity Cure starts mostly where we left Allison by the end of book 1, trying to find Kanin and rescue him from Sarren's hands/claws. She's once again on her own but she's not the same vampire she was before. She has a better hold on her monster and her humanity, and even though she's clearly hurting, she keeps on telling herself it was the right thing to do. 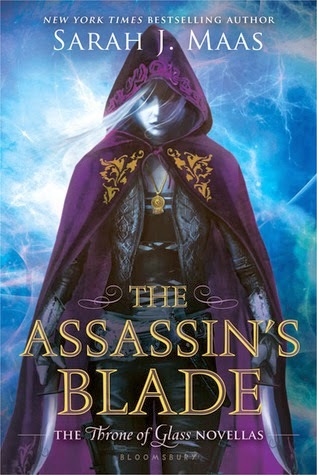 While looking for Kanin she meets up with Jackal, and despite not trusting or liking him, they establish a truce to rescue their sire from Sarren, and following the blood trail they end up back in New Covington, Allie's city. And here Allie finds herself with a very unexpected surprise, she finds Zeke in there being a leader for the few Frigue humans that aren't affected by the new plague. Allie does grow quite a bit during the course of this book, she learns to be strong for herself and others, and despite her dislike of Jackal, she also learns quite a lot about him and his sire from him. She's still a fighter, and she manages to never lose track of herself to the monster, even when facing a mad monster as Sarren ( I just cannot use the term madman with him). Kanin is a character that I liked on The Immortal Rules, and despite spending quite a bit of this book in a rather reactive position and not taking part of the action, since he's being tortured and being used as bait, I found myself understand and growing to like him more and more. He's a vampire that believes a lot on making your own choices, atoning for your acts and fighting for what is worth it. And despite his very tough exterior, he really cares a lot for Allison as a father figure. Jackal is a fantastic character, and one I love to dislike and like alternatively. He's irritating and horrible but provides the right sarcastic comedy relief even in the stark and harsh landscape that this book has. He's also a powerful ally and vampire and thankfully he's never used as a possible part of a love triangle! Zeke is slightly rougher around the edges, but he's still this inherently good guy. He's always a fighter, he's always hopefull and he's always loyal. He managed to shift his world when he discovered he was in love with a vampire, and he can ally himself with the vampires to try and safe the world. Sarren is the definition of the perfect maniacal villain. Despite the past and what he might have suffered, I couldn't empathise with him at all. He's gone beyond any possible empathy and he's turned into a mad monster, no longer fit to be called a madman. He's extremly strong and fast and cunning. He's the kind of monster to give other monsters nightmares, and that's proven here. The plot gives us a few surprises here and there and the stakes keeps on getting higher with new versions of the viruses affecting humans and Sarren threatening everything and everyone. The ending has to be one of the most heartbreaking and evil ones I've recently read! 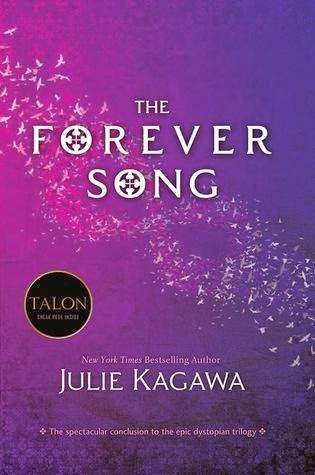 I was beyond glad I had read it with the final book, The Forever Song, just a pair of months away! But yeah, evil cliffhanger advisory announcement here. Very much deserving of 4 to 4.5 stars! Saturday Pages: The Immortal Rules by Julie Kagawa!! This week's Saturday Pages are quite bloody themed, cause both books are vampire books, and are actually book 1 and 2 of a trilogy. And even if they weren't in my original post for my 2014 Series Challenge, I'm gonna be adding them to it, since the final book of the trilogy comes out this year. I read them during my Julie Kagawa improptu readathon, when I read the entire Iron Fey series and then jumped to read these ones! Since it is clearly postapocalyptic, I'm also adding this one to my Dystopia Reading Challenge 2014, even if the vampire aspect would make it paranormal. We'll call it a paranormal postapocalyptic dystopia? I've read many vampire books, and it's a genre I really like but I also feel it can get quite repetitive in the way vampires are portrayed and the dynamics between mortals and humans. 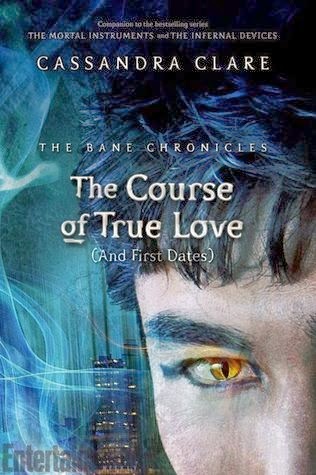 I decided to start this series cause I had read and loved the Iron Fey series by Julie Kagawa and if she had written books about the Fae that I loved, I was pretty sure I'd like her books about vampires. And I was right! Allison lives in a postapocalyptic world were vampires are in charge, humans are treated as cattle, protected as food for the vampires, in the aftermath of horrible plagues that affected humans and then vampires: Red Lung and Rabidism. Allie lives in the Fringue of one of the vampire cities but since she wants to be free from the monsters, she lives a day to day tough survival life, scavenging for food during the day and hiding in a somewhat safe place during the night. She hates vampires with a passion, but after a failed run for food, she is given the chance between dying of her wounds or be turned and live as one of the monsters. Despite her hate, Allie chooses not to die. Kanin, the vampire that saves her and turns her, acts as her mentor on how to survive as a vampire, and on how to not turn into a full-fledge monster. Soon, Allie has to run from her city and survive on her own in the outside world full of "rabids" (mindless monsters that only care about flesh, blood and prey). 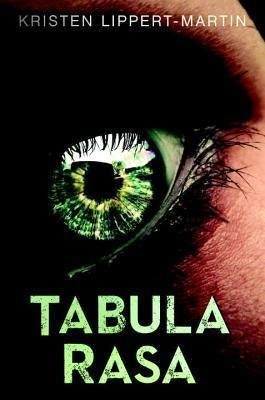 She ends up meeting a group of human survivors looking for Eden, a city of humans without vampires. She finds herself hiding her true nature and trying to help this humans reach safety. Here is were we meet Zeke, a fighter and a survivor, and a guy that is kind, positive and full of hope despite the horrible situation the whole world is in. He takes Allie into the group without a doubt and his whole attitude really throw Allie for a loop. Their interactions are fantastic and I absolutely loved reading them. This book has a fantastic romance, and that coming from me that usually doesn't like romance as much, is saying something! I now understand the love for Zeke that goes round the blogosphere! Allie kicks arse but she hasn't fully accepted herself as a vampire, since she always hated them as vile monsters. She can't see herself as good as a vampire, and Zeke helps her with that. 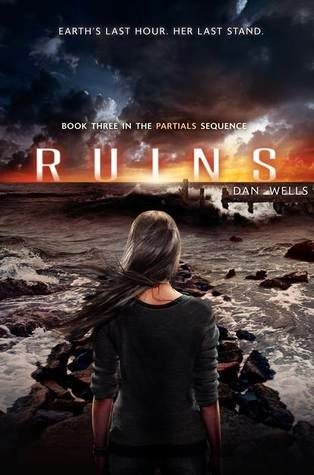 The plot has a main overall arch, with the group of survivors trying to reach Eden, as well as hinting at what would be developed in the next books. There are also underlying themes of choice, not letting our circumstantes decide who we are, but we making each they the choices to be the best we can be and fighting for what's worth fighting. Allie and Zeke are fantastic characters, but we meet many other secondary or not so secondary characters that also help drive the story and the plot, like Kanin and Jackal and Sarren and Jebediah... They're all fully fleshed and they all serve a purpose and drive the story in their own way. 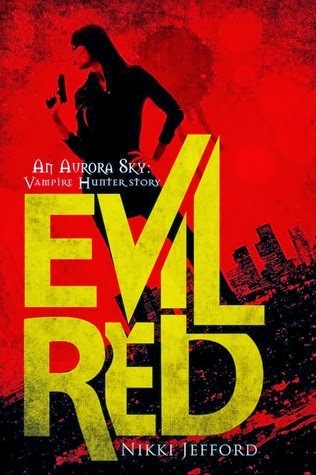 This was a fantastic book to start a trilogy and very much a fresh take on vampires. Very much deserved 4 stars! Friday Reads: ARC Review of Under Nameless Stars by Christian Schoon!! For this next's Friday Reads entry I have another ARC that I got from NetGalley. I have said it before, but I won't tire of it, being auto-approved by Strange Chemistry is really fantastic, I keep on getting gems after gems! Thank you so much! And as another ARC, this one is also part of my 2014 Review Pile Reading Challenge! I'm really hoping to get my NetGalley ratio up to the desired 80% soon-ish, currently at 60%! Once again, being auto-approved by Strange Chemistry on NetGalley is a joy! I got this one, the sequel for Zenn Scarlett and am I glad that I did! I liked the first book but this one I seriously enjoyed! It was so full of action and humour and plenty of food for thought too! A very good science fiction read with all the good elements there! Under Nameless Stars starts right were book 1 left us, with Zenn and Liam getting themselves into the Helen of Troy spaceship as stowaways, to try and find Zenn's dad and find out why she was kidnapped. From there everything gets bigger and better, so to speak. Zenn & Liam get separated and Zenn finds an unexpected friend and ally in Jules, a dolphin in a walking suit. Jules is an absolute delight of a character! He's loyal, he's funny and he's extremely supportive of Zenn. Zenn has to do quite some quick thinking and be quite decisive because despite an inital small lull, the action is quite non-stopping! She finds herself with an assorted gang of unexpected allies, aliens and humans/humanoids while trying to figure out what's going on behind the Indra's spaceships dissapearances and how are they related to her attempted kidnapping! There's plenty of tension, plenty of funny moments (most due to Jules!) and Zenn doesn't stop being an exovet and her kind self. If she sees something that's not right, she will raise her voice and do her best to fix it. That's quite probably what you might call her secret weapon. There's a wee bit of romance, but very very understated, quite what it should be when you're trying to save the galaxy. Zenn might be a bit socially awkward but she also has her priorities right when it comes to do what has to be done. The themes are quite universal, and seeing them presented in a futuristic way might made them a bit more palatable for us, but they're still very much relevant for our current society. Very well deserved 4 stars! A fun page turner! Friday Reads: Split Second by Kasie West!! 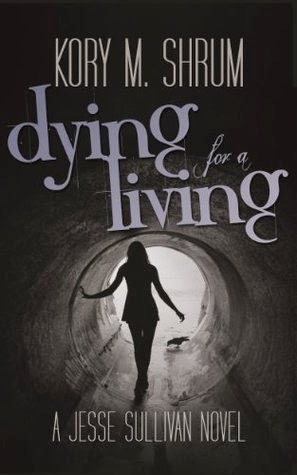 I'm starting this week's Friday Reads with the sequel and final book in Kasie West's duology. I reviewed Pivot Point for Mark This Book Monday, and I'm reviewing Split Second today. I was very glad I got to binge read the books back to back, cause leaving these characters as the first book started for a year would have been painful! After the ending of Pivot Point, I couldn't be happier when I could just close it and open my Kindle copy of Split Second! I didn't want to leave much time for the absolute heartbreak to sit in, and I wanted to find out how things will go! I'm not sure how to review this book without spoilers, and I don't think I can avoid spoilers for book one much, even if I'll try my best to keep them to a minimum. Binge reading a series back to back is always fantastic because you have all the details from the previous book clear in your mind, and when it's a series like this one when you feel so connected to the characters emotionally... it's fantastic to continue the journey right away! Split Second starts were Pivot Point left us, with Addie having made her choice, staying at the Compound with her mother and finding out that her boyfriend manipulated her and her best friend betrayed her. Addie and Laila are still mending their relationship and Addie feels like she needs some time away from the Compound, and when her dad invites her over to spend Winter break with him at the Norm city where he lives, she jumps at the chance. Laila finds herself checking the note Addie gave her once she finished the Search for her future and asking her to erase her memories of what she had chosen, so she wouldn't remember what she was choosing and loosing. But she made the note for herself, so she could keep the promise she made to Trevor. Once she finds that she erased Addie's memories and that somehow she could be the key to recover them, Laila starts her own search for answers. Split Second alternates POVs from Addie to Laila, and even though at first I wasn't too sure I was gonna like it, it really was the right choice! Laila's voice is fantastic and the story needs to be told from both POVs. We get to see Addie and Trevor meet again, and we also get a new couple to root for, Laila and Connor. I loved both Addie and Laila in this book. Addie is still her own slightly insecure self but in this books she keeps on trying to recover her memories, and not only that but she's trying to find out the truth about many secrets that are around her. She keeps on trying to keep control on her life and doesn't believe what she's told just because. Her interactions with Trevor are beyond adorable, though they're a bit painful since we know the history that is missing there. Laila is a firecracker, she's tough and caring and she's trying to keep her family together and herself even if she isn't as self assured as she seems and even if her home life isn't something to look forward to. Then while trying to find a way to progress her ability to help Addie, she meets Connor and aha! We got ourselves one excellent relationship of hate to love (with a certain instant attraction too) full of amazing banter between two very protective of themselves people! Awesome characters, check. Great relationships, check. What about the plot? Well, there's a certain conspiracy that permeates the whole book and that ends up threatening all the characters and relationships and that end up being resolved with the help of some unlikely allies. All in all, a wonderful book, very character driven and that made me fly through the pages! Left me with a bit of book hangover but the happy kind! Well deserved 4.5 to 5 stars! 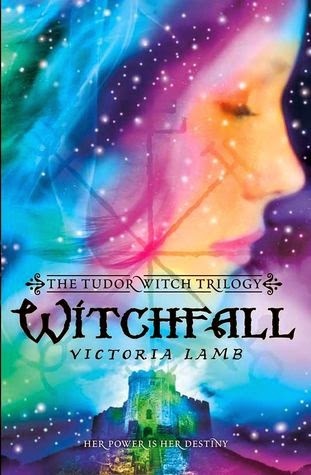 ARC Review: Witchfall by Victoria Lamb! I continue my quest for improving my ratio on NetGalley and on having the reviews for ARCs I've received on a timely manner! This one I didn't manage to have up before relase day this Tuesday, but it's up on release week at least! I wanna give a great thank you again to Harlequin Teen for being so kind to me and approving my request once again! This one is also part of my 2014 Review Pile Reading Challenge! I was approved on NetGalley for Witchstruck, the first book of this trilogy and I really enjoyed, so when I saw that book too was also available for review since it was coming out soon, I had to know what was coming next for Meg, Alejandro and Lady Elizabeth! Thank you so much to Harlequin Tee for once again approving my request! As always, since this is the review of a sequel you can expect spoilers for book 1 as those are very hard to avoid but know that I will do my best to avoid spoilers for Witchfall! Meg finally can breathe without the shadow of witchhunter behind her, but she exchanged that for the long hand of the Inquisition. She has moved to court since Lady Elizabeth was recalled by her sister, Queen Mary. It would seem a good thing, but Lady Elizabeth and Meg are under even a more strict vigilance there, and the Inquisition is there at every step. The thing I really really love about these books is how fantastically they mix the period time events and politics, with the customs and the atmosphere with the world of magick. While you are reading, it all comes together to seamlessly that you simply think that is how it had to be, with magick in between all the political intrigues! Being so truthful to the period it also means there are loads of mysoginistic attitudes that always grate on my nerves, nothing against the book but something to be warned about. Also, the Inquisition is scaring as hell (pun not intended, but approppriate) and there's some torture in the book that even if not graphic, it was both deeply uncomfortable and enraging to read. This is a very solid sequel, without middle book syndrome, with a plot that takes a few unexpected turns, with some very dangerous foes, some new, some old. More magick, more political intrigue, more secrets revealed and more to uncover. Meg grows as a character, even if sometimes she can be a bit irritating, she has a backbone and she won't stop from doing what's right. Alejandro continue to be slightly heatheaded when it comes to Meg sometimes, but he always manages to be there for her and to help as he can. There's no love triangle despite someone else being interested, it was never an issue of having doubts, though some jealousy was experiencen here and there. Lady Elizabeth is still not the strong woman the world will meet as Elizabeth I, but she is still trying to navigate the waters of Court and avoid the dangers of the Inquisition. Her change of heart and the end of the book was not unexpected, but it was disappointing. The climax was a bit quick and over a bit too soon, too easy and at the same time it seems that we go through a loop of "it's over, but no it really isn't" sort of a feel. A book with exquisite world building, even if I don't seem to connect with them emotionally as I'd wish. Well deserved 3.5 stars. What book am I absolutely dying to get my hands on to this week? 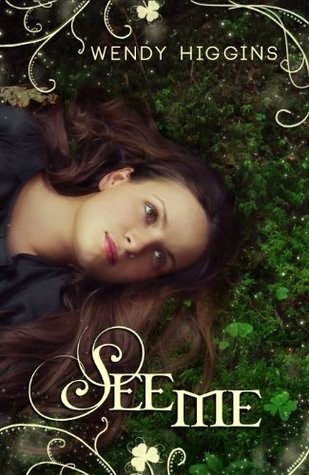 Sweet Reckoning by Wendy Higgings!! In the most sensual and fast-paced installment yet, Sweet Reckoning brings all the beloved Neph together one last time to fight for their freedom." Why am I eagerly awaiting Sweet Reckoning? Well, I am a huge fan of Sweet Evil and Sweet Peril and I just cannot wait to see what happens in the final book of the trilogy!! I'm so hoping that somehow Kai and Anna will end up together somehow! 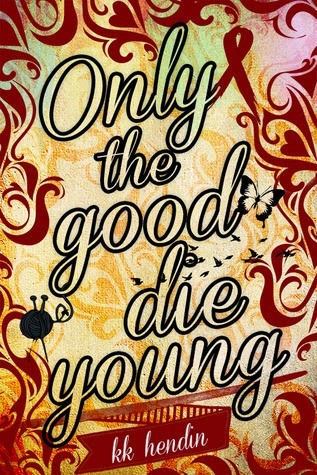 I just cannot wait till I can get my hands on the book!! Aaaaargh!! ARC Review: Lockstep by Karl Schroeder! Today I'm reviewing a book on release day! Thank you so much Tor Books for approving my request via NetGalley for this one! As an eARC copy this is also part of my 2014 Review Pile Reading Challenge! As a science fiction lover as soon as I saw Lockstep on NetGalley and read the synopsis, I knew I wanted to read it, so I was very pleased when I was approved for it! Lockstep is the story of Toby, a young man that gets lost while on a spaceship to claim a comet so his family can confirm their claim to the small planet they have started colonizing. When he wakes up an insane amount of time has passed, more than he can wrap his head around but in a way less than he can imagine. Things have changed immensely and he has become a figure of legend. This is one classic science fiction kinda feel book. Issues that are important for us now are also important in the future. Despite the technology or the far reaches of space, despite thousands of years of evolution, there are some treats of human nature that don't seem to change much. There's plenty of unusual technology and the main one is the one that gives name to the book, the lockstep, though is not exactly the name of a technology, but the name of a society/culture/empire that has risen due to a certain technology. Sometimes the explanations were a bit confusing for me, so I had to re-read a certain paragraph to fully understand what was going on with the timeline. Toby's character was a lil bit irritating at first, it took him quite a while to get his head around all the changes, the time it had passed, the new world he woke up to, but his switch from being overly trusting at first and then suddenly being all suspicious of the people that helped him. I understand being unsure of who to trust when you've discovered your life is in danger and that you have no idea what's going on in this new world, but staking out on his own without means and hoping for the best really wasn't the best idea. Thankfully he starts making more sensible choices the more he learns about the new world he finds himself in. The narrative seemed to have some odd jumps forward here and there, specially when a confrontation was coming, it seems like the stage was all set up and then we found outselves ahead of time with it solved. It felt a bit like cheating, since we didn't know how Toby actually got himself out of it, what arguments he made and what really happened. We get the preparation and the outcome, so we can guess, but not know. That's probably what contributed more for me not to give a higher rating to this book. It's a solid science fiction read, with very minimal romance and plenty of bigger issues being discussed, as family dynamics, the power of religions and myths and how power corrupts. It shows us the best and worst of human nature and how usually both are more closely intertwined than we'd like. 3 to 3.5 stars for this one. Mark This Book Monday: Zenn Scarlett by Christian Schoon! As the final entry for this week's Mark This Book Monday I have a review for the first book of a science fiction series published by Strange Chemistry about a girl from Mars who is an exoveterinarian. I got the next book on NetGalley for review, so I had to read this one first! I requested the sequel for Zenn Scarlett via NetGalley without realizing it was a sequel, so once I did I got myself this one to read first, as one should (and thankfully I did, cause book 2 starts right where book 1 finished!). Zenn Scarlett is the name of our main character, a young girl that wants to become an exoveterinarian and it's training for it with her uncle. In Mars. In a Ciscan cloister. The moment I saw Mars and Ciscan cloister I was quite impressed! We're mixing one of the oldest religious orders with care for alien animals in Mars as a human colony! Now that was a mix I wasn't expecting at all! Zenn is helping her uncle and at the same time studying to pass her level exams and continue her education as an exovet, which has always been her dream and life goal. Despite some traumatic events in her past, she's decided to work taking care of the animals. The plot seems to be quite simple at first, we follow Zenn around the cloister, caring for the animals and having a few strange happenings here and there. We learn that living has been getting harder and harder for the colonists in Mars as of late and that the cloister isn't making people happy with the alien animals and the area that could be used for growing crops. It progresses with the mystery of who might be trying to conspire against the cloister as well we keep on getting some clues here and there about something much bigger going on out there. The pacing might have been a bit slow on occasion, but I didn't mind as much cause I loved all the animal care and exoveterinary bits that were there. Despite the book being quite entertaning in itself, it sort of felt more like an introduction and a set up than a full book in itself, if that makes enough sense. Zenn was an interesting character, very focused on caring for the animals and her future career, with some typical teenage reactions here and here, but nothing that seemed out of character for her. She had quite a bit of growing up to do in this book, and I'm hoping quite a bit more in the next! Given the hints peppered over the book and the way it ended, I have high hopes for a more epic second book (not sure if this one is a duology or a trilogy yet) since this one felt more like an introduction. 3 to 3.5 stars. 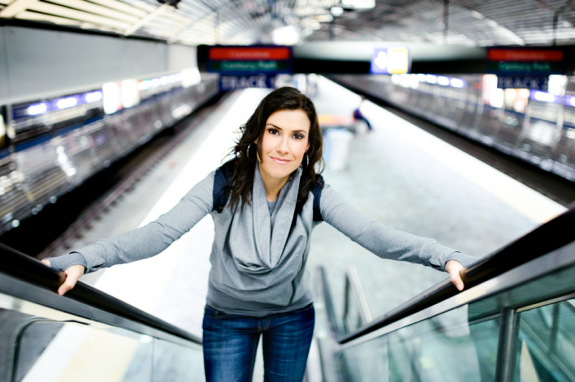 Mark This Book Monday: Pivot Point by Kasie West!! For starting this week's Mark This Book Monday I have a book that one of my fellow bloggers insisted that I should read, and was she right! Thank you so very much to Becca from Pivot Book Reviews! I had heard so many good things about Pivot Point for so long that I was a wee bit scared about reading it, even more since I had heard about the rather heartbreaking ending. But once Split Second released, I knew I had to give this one a chance! (Thank you, Becca, for the push!). If you haven't read the book, I'm not sure how I can review this book avoiding all kind of spoilers. I'll avoid the bigger ones and most obvious ones, but if you want the book to surprise you, stop reading my review and go get it. It is very much worth reading! Pivot Point is set in a world were some people have special abilities, and Addison is one of those. Her ability is being able to see the possible futures before she makes a choice. She lives in the Compound, a city where only people with abilities live. Her life is rather ordinary, with her best friend, Laila, school and her parents. Everything changes where her parents surprise her with news of their divorce, and the fact that her dad will be leaving the Compound and living amongst the Norms. Her parents tell her to use her ability to search her two possible futures and choose the one that she likes most. I was wondering by this point, if she was gonna do a search and then we'll see her choice, or if the whole book was gonna be about the Search and the options, and I wasn't really sure I was going to like that. And that's the way it works, we get alternate chapters with Addie living with her mum in the Compound and with Addie living with her dad with the Normal people. Addie's voice was so relatable, even when she had her "teenage" moments I never thought her too typical or too irritating. She was learning who she was without her ability in the Normal world when she's living with her dad, and despite the difficulties she finds herself growing up and making friends, and not defining herself only by her ability. And when she was with her mum, she tries to improve herself but she doesn't have to make the same efforts, life seems a bit more easy for her. We keep on seeing the plot progress in two different but parallel ways and we get more information with each chapter, complimenting the info from the previous one or something mentioned a pair of chapters back. It seems like we keep on getting bits of half a story each time and what we learn each time keeps on getting a bit worrisome. The book is driven partly by the mystery and partly by the characters, and we follow two sets of characters, that get fully fleshed out and we get to know very well. By the time Addie has to make a choice, you perfectly understand why she has to make the choice she does, even if it absolutely breaks her heart (and mine!). After Addie making her choice we see the future she saw play out and we are left wondering if we'd remain heartbroken or how would the future play. By the end of the book I just have no idea what will happen in the sequel, but I knew what I wish somehow would happen! With an interesting mystery, wonderful real characters and equally beliavable relationships between them. I loved seeing Addie's and Trevor's relationship progress from meeting to friends to being together. And I loved seeing how Laila's and Addie's friendship got through some different kind of hardships in each of the futures but equally got out those stronger. Very much deserving of 5 stars!! This was a 5 stars book for sure! This week was a fairly light week, since I only bought 3 books, all in my Kindle, and one of the a novella that I had preordered! I should remind myself to stick to this pace since in April I have many preorders coming! I'm hoping to keep next week more or less on the same vein, and I don't think I even have any preorders coming that I can remember right now. Saturday Pages: The Winner's Curse by Marie Rutkoski!!! 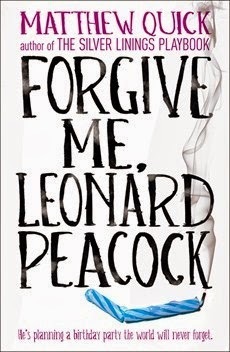 Next in line and last for this week's Saturday Pages is one of those books that simply leave you with a massive book hangover and that you just want to re-read again right after you're done, even if they're broken your heart! I have to say thank to my fellow bloggers Octavia from Read Sleep Repeat, Kristen from My Friends Are Fiction, Sam from Realm of Fiction and Alyssa from The Eater of Books for their reviews and comments, reassuring me that this book was awesome and to not fear the hype! The Winner's Curse was another one of those hype books that turned right for me, as These Broken Stars was. I had read so many fantastic reviews for this one from fellow book lovers and bloggers that I trust that I knew I was going to like it, but there's always that little voice in the back of your head going "what if I you expect so much of this book that it can't live to those kind of expectations". Well, thankfully it did! I loved this book to pieces, even if it was a big rollercoaster of emotions and it broke my heart more than once! I loved the writing, the characters, the world and loved & hated the romance. I will try to keep my review as spoiler free as possible, but be warned that from now on I might or might not comment on things some of you rather not know about the book. If I had to define the genre for The Winner's Curse I'd say is fantasy with historical fiction touches. As a history buff and lover of all things Ancient Greece and Rome, I felt that there were so many bits and pieces that reminded me of them, and those made me love the story and world building even more! Conquest, Empire, assimilation of conquered lands customs & gods, military progress, slaves... everything seemed familiar, but it is weaved in a way that creates its own world. i was very much fascinated with the world building, full of details but that never stumped the plot narrative. As for the plot, it progresses in a way that gives us loads of world building and character growth and progression, without never really losing sight of the main plot point. At first you might not suspect what's going on, but early on you can see hints and begin to wonder how there was no more suspicion when events started piling up, but it can be atributed to the winner's mentality, thinking that you've broken the conquered thoroughly. Krestel is a fantastic character, and has become one of my favourite heroines. She lives a life of privilegue but still is a nonconformist. She keeps trying to be true to herself and tries very hard to find a way to be herself without disappointing her only family, her father. But when your father is a Valorian general and national hero, there are very many expectations on you, and those don't sit well with Krestel. She doesn't want a military career, she loves her music and she wants to be able to choose her own destiny. She's got a sharp mind, very strategic and she also has a big sense of loyalty for family and friends. Seeing her being challenged by Arin on some of her convictions and abilities and grow stronger for it was great. Arin, oh dear. Arin is a complex character. A slave that has never forgotten who he was before the war and that has not sat and accepted his fate, not without fighting. He has a mission but he doesn't expect getting some of his preconceptions shaken up, and he really doesn't foresee respecting and caring for a Valorian. His choices become even tougher then, but he was a fantastic character through and through. The romance, ah the romance! For a self-declared not-a-big-fan-of-romance this one totally captured my heart! I will not say much about it except that it's fantastic, subtle, intense and very much heartbreaking! This was one fantastic book, has become one of my absolute favourites of the year and I'm dying to get my hands on the sequel! Very much deserved 5 stars!! Saturday Pages: See Me by Wendy Higgins!! Starting this week's Saturday Pages I have a new release for this week that I devoured on release day! It was even better since it was released on St Patrick's Day! Thank you Wendy Higgins for writing this sweet book to help us with the wait till Sweet Reckoning! When I first heard about this story that Wendy Higgins had written, I was quite excited to read it, cause I love anything Ireland and so when she decided to shelve it for a while, I was quite bummed. Imagine my surprise and happiness when she decided to finally go ahead and self-publish, on St Patrick's Day no less! I got it on my Kindle app as soon as I got a spare moment at work after midnight on the 17th, and started it right then! See Me can be described as a contemporary romance with a healthy dose of fantasy, maybe magical realism? It is the story of a girl and a boy falling in love in the Emerald Isle, with the added bonus of magic, faeries and the fact that the boy is a Leprechaun! Robyn has been bethroted to boy in Ireland since she can remember, and despite being a very modern girl she always understood it as her duty. Her family is one of those few given magic by the Fae and there's a lot of responsability that comes with it. She had always allowed herself some romantic dreams, imagining how McKale would be. So when she's told on her flight to Ireland that he's a Leprechaun... well, to say she's got a bad shock is to put it midly. We all imagine tiny men dressed in green that live at the end of the rainbow, and that's image that makes Robyn panic. But as it happens McKale is not a 3 foot guy but a slightly taller than average human size, which in a funny lil twist is quite frowned upon on the Leprechaun society, so McKale has been quite unhappy with his size all his life. Apparently not even the jolly green men are beyond prejudices. The romance is very sweet, adorable and cute! It started a bit on the wrong foot and soon enough we learn there's someone else that won't be playing fair for McKale's attention. I really liked Robyn and Cassandra's interactions, a great sisters relationship, with plenty of banter and loads of support and friendship. And in fact, all the Manson's family interactions are fantastic. The parents are loving and a great example for Robyn to aspire to, and despite the great relationship they have with their parents, the girl still act like teenagers and sneak out on occasion. I went through the book super fast, it was so much fun, even the moments when the FFG (you'll know what I mean if you read the book) start meddling and threatening Robyn & McKale. There are plenty of heartfelt moments, with fun one, swoony ones and just plain adorable ones! Friday Reads: Landry Park by Bethany Hagen! 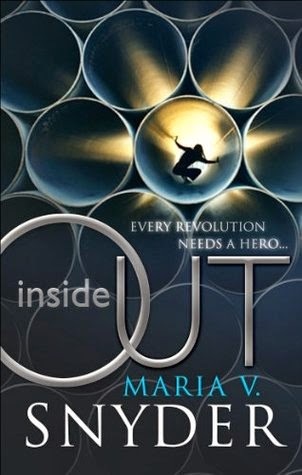 For this next Friday Reads entry I have a book I was quite intrigued about, another debut book and one that counts for my Dystopian Reading Challenge 2014! Landry Park was one of those books that I was quite looking forward to and that despite liking it well enough, I was disappointed that I didn't love it more. As a dystopian it had a very interesting setting, with a plausible detonant for the drastic change in society and a very fitting return to Victorian values to showcase better the stratification of the society that came out of it all. I enjoyed the descriptions and the setting of the story, even if the frivolous society sometimes rubbed me the wrong way. I liked Madeline quite a lot cause didn't want to conform entirely, she wanted to go to college and even though she loved Landry Park and wanted to do her duty, she also wanted to do it on her terms. What she didn't expect was to have everything that she had shaken so badly as she did. I also appreciated that she had many doubts about what road to take and though she wanted to do the right thing, it was a very hard choice to keep in mind when you return to the comfort you've always known. The rest of the characters were quite interesting, with something more to them than what it seemed at first, the mean girl wasn't exactly as mean and as elite as she seemed at first, same with Madeline's father cause he was understanding, cruel and tyrannical in equal measures. The relationships might have been the one thing in the book that kept on getting on my nerves: all the hot and cold David, the juxtaposed love triangles to call them something, and all the deception going on... simply not my cup of tea. The brewing revolution, the underlying social issues and the food for thought that Madeline's attitude and choices can provide, that was my favourite part of the book. I enjoyed this book, I wanted to like it more but for some reason I failed to feel more involved with the characters and feel more for them. I'm giving it 3 to 3.5 stars and I plan to check the sequel, cause I want to see what happens next with the Landrys. Friday Reads: The Nightmare Dilemma by Mindee Arnett!! For the first Friday Reads of the week, I have a book that I was very much looking forward to and that I read almost in one sitting and absolutely enjoyed! Made me laugh, made me root for the characters and broke my heart a little bit! Thank you Mindee Arnett for a great sequel! The Nightmare Dilemma was a great sequel, didn't suffer from the middle book syndrome at all, and progressed the characters development and relationships with a very engaging plot of its own. And as a bonus, no real cliffhanger. The ending leaves you feeling for the unfairness of it all, but doesn't leave you heartbroken without hope. Well deserved 4 stars! 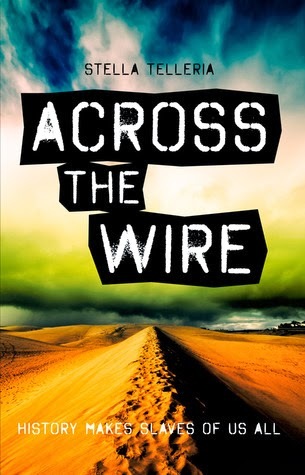 Xpresso Book Tours: Across The Wire by Stella Telleria!! Hey there everyone! Today I'm taking part in the Blog Tour for Across The Wire by Stella Telleria, organized by Xpresso Book Tours! I got myself this book after taking part in a book blizt for it organized by Xpresso Book Tours. I was very intrigued by the premise and the main character. So when I saw that there was going to be a book tour, I knew I wanted in! Mia is an ex-Marine, sent back home cause she wasn't deemed fit for active duty. She isn't adapting well to normal life, since she suffers from a clear case of PTSD. She encounters an odd man that asks for her help to train victims of gender oppression, and she finds herself in a parallel universe where men are the oppressed ones and women are the cruel tyrants. The setting was very much intriguing, even if no details are giving about the way to travel to a parallel universe, aside from the mention of a wormwhole. But the whole absolute matriarchy that reigned in Gaia was a brilliant setting to shake our preconceptions. The way women are abusing their power as men have been and continue to do so (in some places more than others) in our world is a remind for us all, men & women alike, that the solution to our problems is not going to any extreme of the spectrum, since absolute power corrupts absolutely, but to find the happy medium when we all treat each other as equally important and valid human beings. Stella Telleria builds a world that made me cringe and made me think and ponder, one that felt real and plausible even if extremely unwanted for me. I consider myself a feminist, but I'd never want the tables turned in such a way! The characters were extremely well crafted and felt so real. Mia, Gavin, Eben and all the rest feel fully fleshed, even the secondary characters that appear only for a moment but that might not be as secondary as you think. Mia, as war veteran with PSTD felt so real, with her rawness, her numbness as a way to deal with her pain and her flight or fight response... She's a fantastic character that might not seem easy to love, but I was rooting for since page one! Eben was a different type of survivor, but a fighter nonetheless. After being a slave and barely thinking of surviving each day, he find something to fight for and a purpose in the fight the rebels want to present, and Mia also makes him strive to get over his preconditions and prejudices. The plot starts in a rather straightforward way, Mia has been brought to train a group of rebels in self-defence and to try and rescue more and more men to give them a choice at freedom, but as the book progresses it comes apparent to Mia and us that there's much that she doesn't know and that her allies/employers/fellow rebels aren't telling her, and that might be much more at stake that she even guessed. The ending is quite brutal in a way, because war is brutal no matter how good your reasons and intentions are, but it also ends in a note of hope and with a lot of unanswered questions and me hoping that there ARE more books after this one! (Confirmed with the author, she's working on book 2, *phew*!). 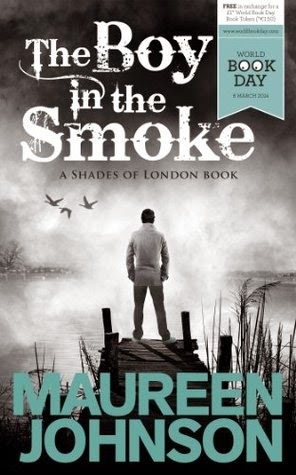 Very well deserved 4 to 4.5 stars for this one, tough but brilliant book! What book I'm quite impatiently awaiting this week? 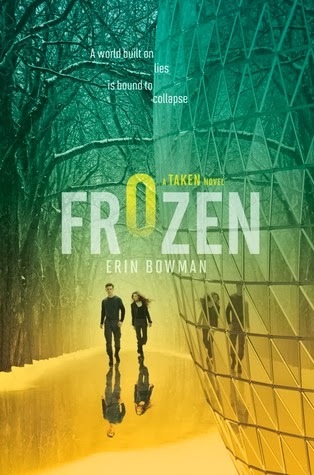 Frozen by Erin Bowman! "The Heists were only the beginning. Now Gray has joined a team of rebels on a harsh, icy journey in search of allies who can help them set things right. But in a world built on lies, Gray must constantly question whether any ally—or enemy—is truly what they seem…"
Why am I eagerly awaiting Frozen? Well, I quite enjoyed Taken, the first book in the trilogy and the final part of it with the start of a new quest and the possibilities of more world building have me really salivating for this one. I'm a huge fan of dystopian books, and after reading Stolen, the novella from Bree's POV, I'm even more excited for the sequel! 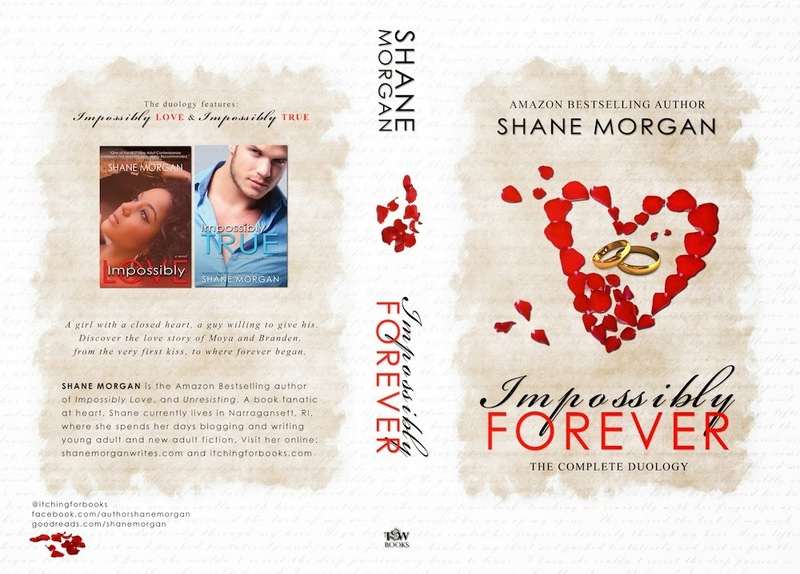 Xpresso Book Tours Blitz & Giveaway: Impossibly Forever by Shane Morgan! Hello everyone! 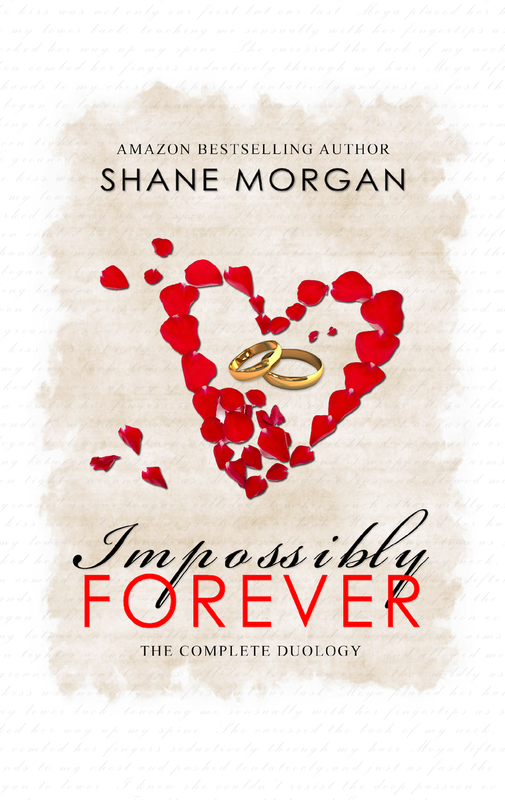 Today I'm taking part in the Book Blitz organized by Xpresso Book Tours for Impossibly Forever, a New Adult Contemporary Romance duology by Shane Morgan. And there's also a Blitz wide giveaway you cannot miss! Mark This Book Monday: ARC Review of Stolen Songbird by Danielle L Jensen!! Happy St Patrick's Day! I hope you will be safely celebrating, even if you are not Irish (as I'm not!). I will be celebrating with my friends later this evening, since we're planning to go out and have a pint or two. For this week's Mark This Book Monday I'm once again having an ARC review of a book that will count for my 2014 Review Pile Reading Challenge. I'm also still doing the happy dance for being auto approved for Strange Chemistry on NetGalley and I wanna say a big thank you once again! Being auto approved by Strange Chemistry on NetGalley is simply a joy. It seems that whatever I decide to download it's always gonna be a fresh and new take on whatever genre that it is. This is exactly what happened with Stolen Songbird. I wanted to read it cause the cover caught my attention, and as soon as I read that it was a fantasy novel about trolls, I was sold! I don't know about you, but I don't think I've seen any fantasy story about trolls out there, plenty of faeries and other creatures, but trolls? And once again, the book didn't disappoint! The only adjustment I had to make was the first image my brain conjures up when the word "troll" is mentioned... Trolls are ugly in most accounts but the image that always pops up for me is the ones from the David the Gnome trolls, and those are rather ugly beasts! And the trolls in this story quite different! The story starts with Cécile when she's returning home from the town when she had given a small performance of her singing. She's gonna be leaving for the city the next morning to start her singing career with her mother, but halfway to her family's farm, she's kidnapped and taken to the stolen city of Trollus, and sold for her weight in gold to the King to be the bride of the prince of Trollus. Cécile is a spunky character, she keeps on trying to find a way to escape, she still tries to stand her ground although as a human she is considered an inferior, even if she's married to the prince. 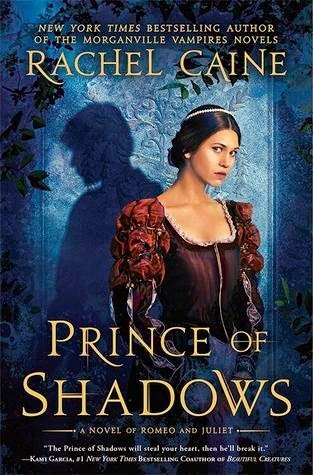 She has to find allies and even unlikely friends and ends up forming a truce with the prince, even if at first she isn't really sure what's going on with him. And Cécile discovers that she's so much more than she even knew and she has a power that can help and change things. Tristan is the very mysterious and confusing prince and heir of Trollus. He was supposed to marry a human to break a curse and free his city, but seems like his plans are quite different. He keeps a very studied façade and is dealing with much more in politics and power struggles than what Cécile knows at first. His attitude towards Cécile is quite awful at first, but little by little they form an alliance that ends up turning into something other. The plot is quite interesting, full of politics, rebellion, social inequality, magic, trolls, witches and even some hints at the unknown mysterious origin of the trolls and their true nature. Maybe the humans gave them that name, but what are they really? The development of the romance was full of false starts and deception, and many doubts and misunderstanding between Cécile and Tristan but it ended up progressing nicely from a precarious truce to an unspoken attraction with many doubts to a starcrossed lovers situation. The ending is sort of a cliffhanger, and it's also quite evil cause they way it leaves the reader waiting to see how things can get fixed and how can Cécile keep her promise... it's gonna be a long wait till the next book for sure! Very well deserved 4 stars! Mark This Book Monday: All The Truth That's In Me by Julie Berry!! Hello everyone! Happy St Patrick's Day!! To start this week's Mark This Book Monday I'm sharing the review for the first book for Read Discuss Repeat, the virtual book club that Octavia from Read Sleep Repeat started and that I'm a member of. 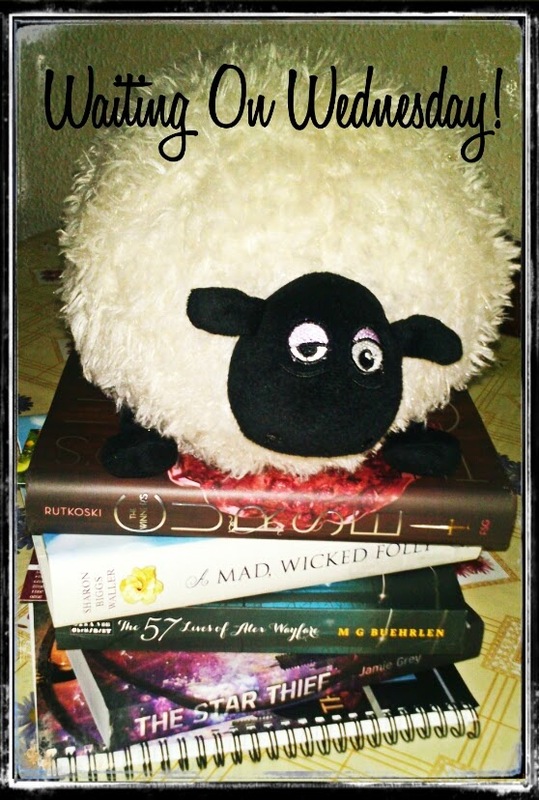 It was a book I had in my TBR list for quite a while, so I was very happy when it was chosen as the book for February! All The Truth That's In Me was the first book of my online book club, Read Discuss Repeat! I was quite pleased when it was chosen in the poll, and even more once I finished it. This is quite an unusual book, starting with the way it is narrated, in the second person narrative. Also, the story goes back and forth from remembering past events, to talking about the present and relaying the main character feelings and hopes. There are no real references to a date or geographical location, but we especulate to when and where feels right for the story. When I started the book I wasn't sure if I was going to like it but I got used to the different narrative and found myself feeling so much for Judith, the main character! Her voice was amazing, so caring, intelligent and observant and she always managed to make the best of her situation, even when the people around her didn't seem to see her as a full human being after her return from her ordeal. We learn things little by little, small revelations here and there from Judith, how she keeps on remembering. I loved to see how she found allies, even some that she thought would be unlikely, and I loved how she kept on looking out for Lucas, the boy she loves and the one she keeps on talking to in her head (for most of the book). There's a lot of reflection on the human nature, on love and relatinships. Characters are so well developed and you just feel so immersed in the story! I was kinda scared at some point to keep on turning pages cause I was heartbroken and enraged about some of the situations Judith had to go through! I just felt such a sense of contentment and even fulfillment after finishing the book, this book made me cry in more than one occasion! A wonderful book, very much worth of 4 to 4.5 stars! It's been a while since my last Showcase Sunday with my vacation time and all, but finally I'm back with the e-books and ARCs I've got this week and the physical books that I got this week and the two that were waiting for me when I arrived. 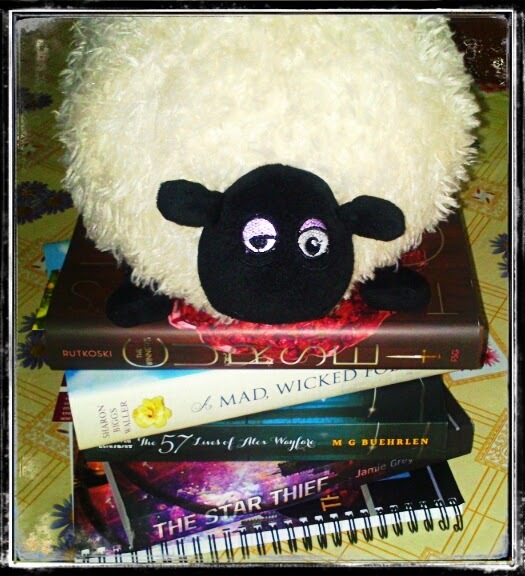 I also want to introduce you all to Dylan, my fluffly, slightly stoned and adorable stuffed sheep! He's gonna be the blog's pet and will be part of my Waiting On Wednesday banner/button! Say hello to Dylan everyone! The Winner's Curse by Marie Rutkoski and A Mad Wicked Folly by Sharon Biggs Waller that I got via Amazon.es. The Star Thief by Jamie Grey (a signed copy that came with an awesome notebook!) that I got from the author's website. The 57 Lives Of Alex Wayfare by MG Buehrlen that I got via The Book Depository. I got approved for two books, I was quite happy with both, but one of them totally threw my reading schedule out of shape, cause as soon as I was approved, I needed to read it!! I think I might have gone a bit overboard buying Kindle books this week, but oh well, such is life! I guess a self impossed ban on book buying (with the exception of my preorders) is in order now! Saturday Pages: Shadowlark by Meagan Spooner!